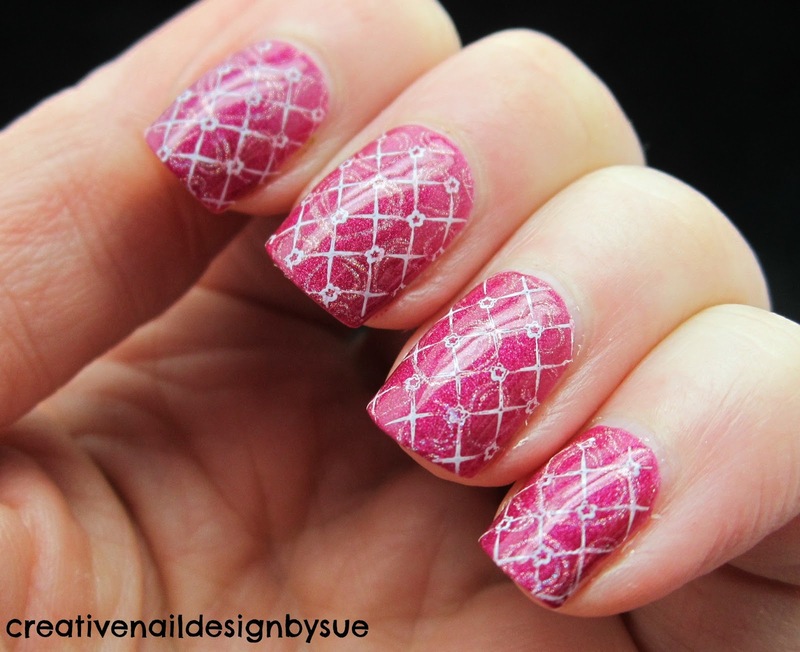 I wanted to layer some stamping but it came out just a tad too light for my tastes. This is ManGlaze's Lesbihonest with some white stamping and then I used Color Club Halo-Graphic to stamp over some hearts. You could see them much better in the sun for the ten minutes that is actually peeked through the clouds. It may be subtle, but I still really like it! I think it looks great! I always want to layer stamping, but I never know what patterns to put together. This looks great, love the base color! This is pretty! That base color is gorgeous! ohh i love the holo in this!